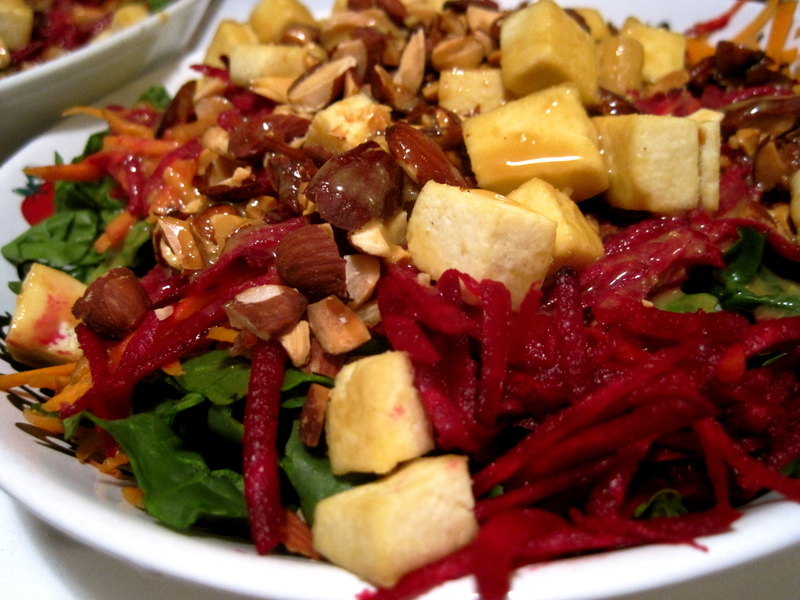 I’m not fully vegan, but I love me a good vegan restaurant. There’s something about places where vegetables are welcomed and made to shine instead of being an afterthought, the kind of establishments that welcome any kind of dietary difficulty, that makes you feel more healthy and alive than you would ever thought you would after a giant meal. This dish gives me the same kind of effervescent feeling–it’s food that’s not rich but also not bland, just flavor and freshness for days. 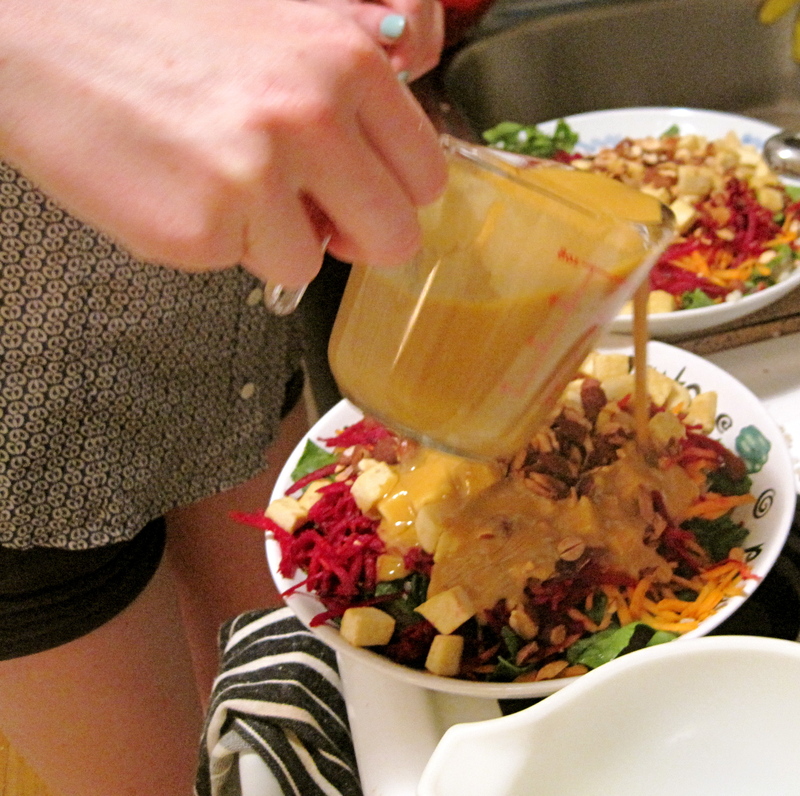 Big ups to my amazing friend Megan for showing me this dish and inspiring me to keep my blog updated in general! 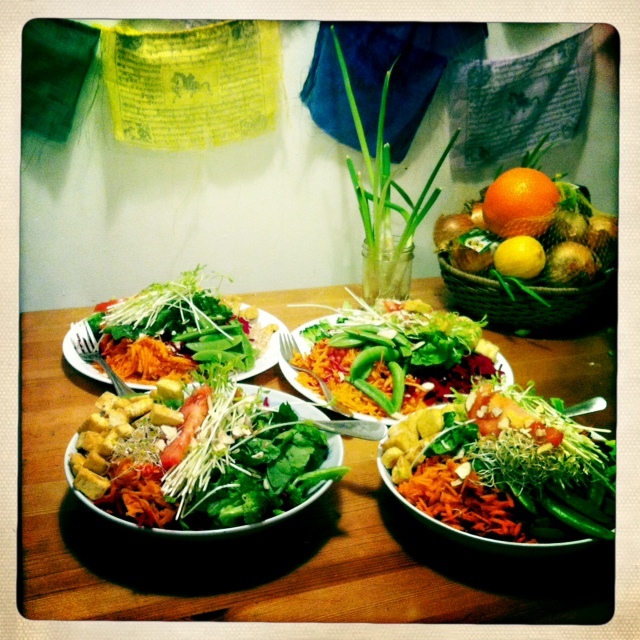 Any other vegetables you want to add that would be good raw–sprouts are nice! Put your rice on to cook according to the package. 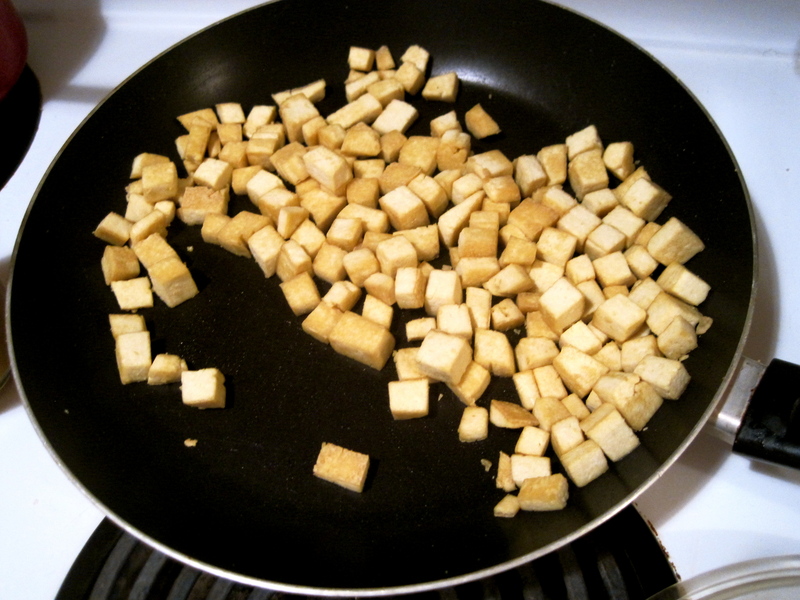 Fry your tofu in the oil until browned. 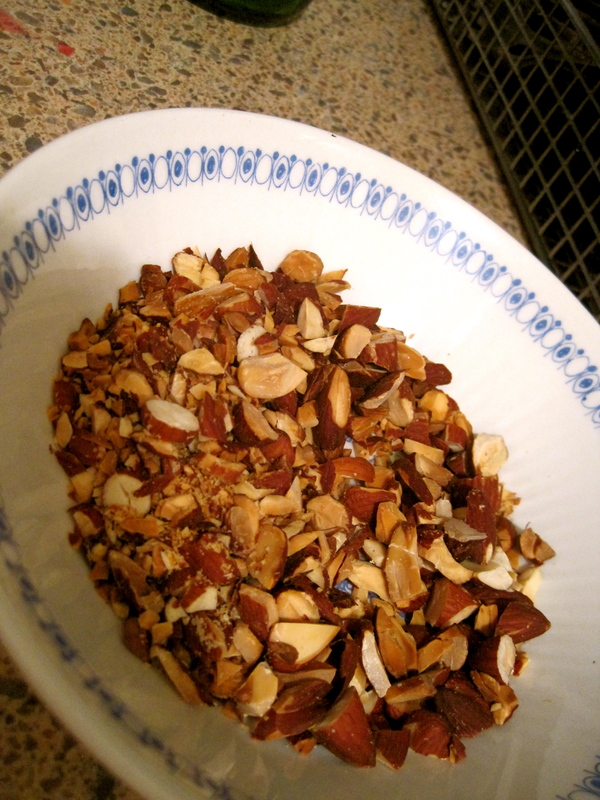 Toast your almonds until lightly browned. And that’s all the cooking you have to do! Is this a great summer recipe or what? 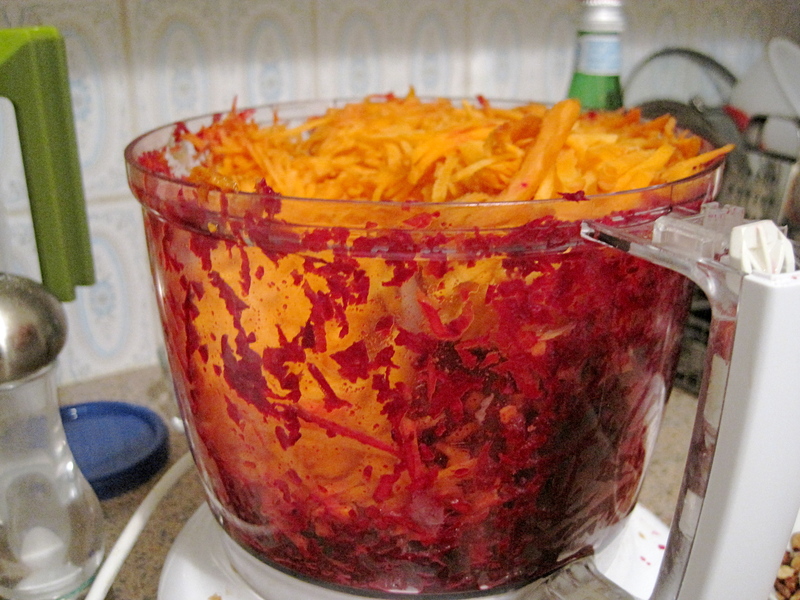 Grate your carrots and beets. 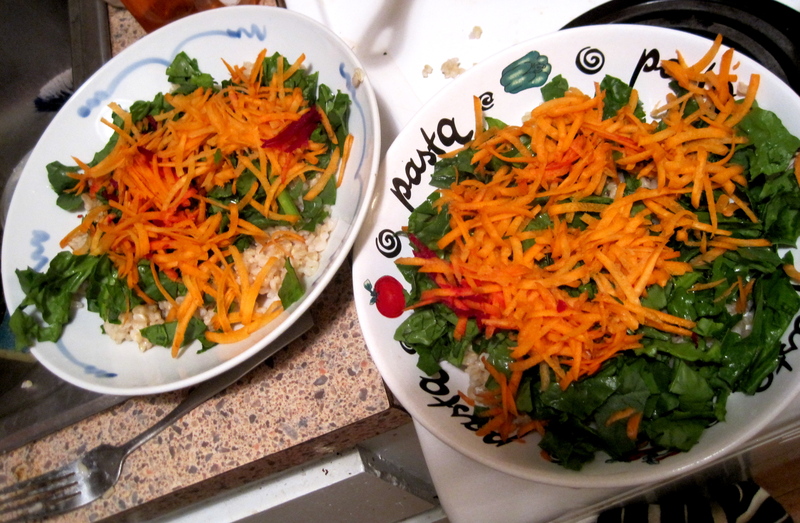 A food processor with a grating attachment comes in really handy for this. And the colors will be beautiful! 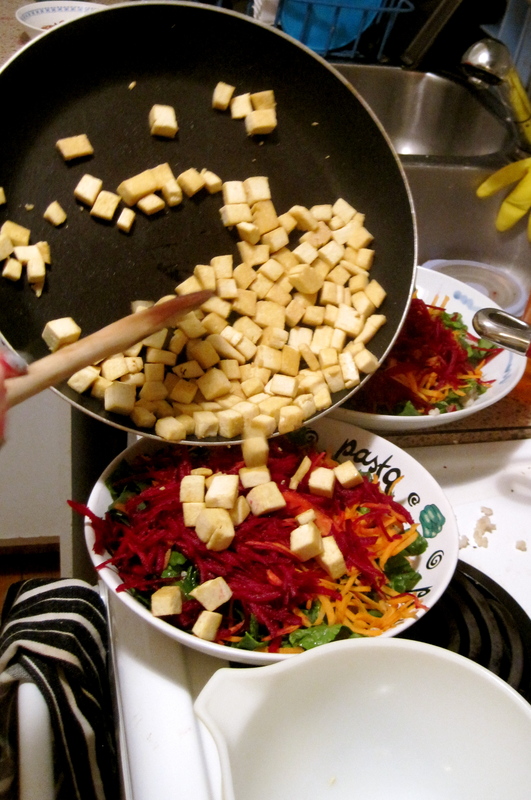 Roughly chop your spinach. 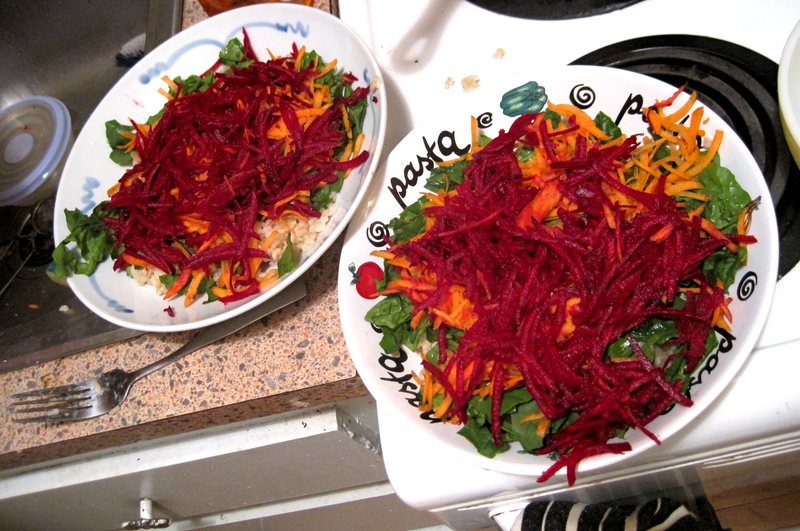 Layer the bowl like so: brown rice, spinach, carrots, beets, sprouts/whatever, tofu, almonds, and finally drizzle with lots of delicious dressing. And enjoy!